Native Americans have historically experienced a high prevalence of alcoholism. Understanding the causes and impact of alcoholism on this group and the recovery options available can help Native Americans find the necessary help. Native Americans have some of the highest rates of alcohol and drug abuse among minority groups—which leads some to ask whether they are prone to alcoholism.3 Certain factors may contribute to the development of alcohol use disorders among Native Americans as well as prevent them from seeking help. Economic issues, cultural loss, domestic abuse, and physical and mental health issues may put Native Americans at higher risk of alcoholism. Physical health problems: Native Americans have high rates of physical health problems such as diabetes, heart disease, cancer, obesity, liver disease, hepatitis, and stroke. 1 Native Americans are also at higher risk of being hurt in unintentional accidents and having children die from sudden infant death syndrome (SIDS).1 Chronic illnesses can lead to significant stress and increase the risk of alcohol abuse. Mental health problems: Native Americans experience high rates of mental illness and suicide. 3 The suicide rate among Native American teens is 2.5 times greater than the national average.3 Native Americans also have high rates of co-occurring disorders, which refers to having both a mental illness and a substance abuse problem.3 Having a mental illness or having a loved one suffer from one can cause a great deal of distress. Although certain factors are believed to cause high rates of alcoholism among Native Americans, the specific reasons that people drink vary. Each individual is unique and influenced by economic, cultural, and other factors in different ways. 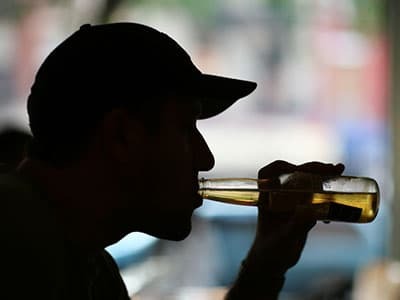 Some drinkers are able to moderate their alcohol use. But others may meet criteria for an alcohol use disorder (alcoholism). Professionals diagnose an alcohol use disorder when a person experiences significant problems in his or her life due to drinking. Failed attempts to cut down. Spending a long time drinking or recovering from the effects of alcohol. Difficulty taking care of responsibilities at home, work, and/or school because of alcohol. Continuing to drink despite problems with family and friends. Giving up important activities or pleasures to drink. Drinking alcohol in dangerous situations. Continuing to drink despite physical or mental health problems. Tolerance: the need for more alcohol to experience the desired effects or experiencing less of an effect with the same amount. Inpatient rehab: Inpatient Native American substance abuse programs offer both residential housing and addiction treatment in a structured, drug-free environment. Inpatient treatment programs provide group, individual, and family therapy sessions; medication; detox; self-help meetings; and other recovery-oriented activities. Outpatient recovery: Outpatient treatment programs provide weekly therapy without supervised housing. The amount and frequency of therapy sessions each week depend on the program and each individual’s needs. Teen rehab. Adolescent programs specialize in treating youth and their families. Native American adolescents may face unique issues that contribute to their alcohol use. Adolescent treatment programs often incorporate family members and academic support or schooling into the treatment process. Dual diagnosis: Dual diagnosis programs provide treatment for both addiction and mental health issues such as depression, anxiety, bipolar disorder, and post-traumatic stress disorder. Mental health issues often lead people to turn to negative coping skills such as drinking. Treating the underlying mental health condition is important for reducing the risk of relapse. Alcoholics Anonymous: AA is a 12-step recovery group for people struggling with drinking. It is free to join, and meetings are available around the world. AA helps members connect with a sober community and work through the 12 steps. For information about how Alcoholics Anonymous can help Native Americans, see the pamphlet A.A. for the Native North American. Traditional symbols such as the Medicine Wheel. Native Americans seeking addiction treatment may also want to discuss including elders, spiritual leaders, and family members into treatment. How long have you been drinking? How much do you drink on a weekly/daily basis? How old is the person who needs treatment? Does the person have any medical or psychological issues in addition to the addiction? Where does that person live? Do you want to stay in your hometown or travel for treatment? Can the program treat other physical or mental health conditions I have? Does the program offer detox? Are there other rehab options outside of my area?
. U.S. Department of Health and Human Services. (2016). Profile: American Indian/Alaska Native.
. Beauvais, F. (1998). American Indians and alcohol. Alcohol Research and Health, 22(4), 253-259.
. Substance Abuse and Mental Health Services Administration. (2016). Racial and ethnic minority populations.
. Brown-Rice, K. (2013). Examining the theory of historical trauma among Native Americans. The Professional Counselor, 3(3), 117-130.
. McKeon, A., Frye, M. A., & Delanty, N. (2008). The alcohol withdrawal syndrome. Journal of Neurology, Neurosurgery & Psychiatry, 79(8), 854-862.
. Garrett, M. T., & Carroll, J. J. (2000). Mending the broken circle: Treatment of substance dependence among Native Americans. Journal of Counseling and Development, 78(4), 379-388.
. Center for Behavioral Health Statistics and Quality. (2016). 2015 National Survey on Drug Use and Health: Detailed tables. Rockville, MD: Substance Abuse and Mental Health Services Administration.
. Substance Abuse and Mental Health Services Administration. (2015). Alcohol.
. Substance Abuse and Mental Health Services Administration. (2007). Fetal alcohol spectrum disorders among Native Americans.
. Substance Abuse and Mental Health Services Administration. (2012). The NSDUH report: Need for and receipt of substance use treatment among American Indians or Alaska Natives.
. Center for Behavioral Health Statistics and Quality. (2015). Treatment Episode Data Set (TEDS): 2003-2013. National admissions to substance abuse treatment services. BHSIS Series S-75, HHS Publication No. (SMA) 15-4934. Rockville, MD: Substance Abuse and Mental Health Services Administration.